Successfully Added Fingerprint Attendance System - Stores Up To 2000 Fingerprints, 2.4 Inch Display, Password Mode, 160000 Clocking Records to your Shopping Cart. With this fingerprint attendance system, you’ll be able to easily track the attendance records of all your employees. When in place, this security system allows your employees to open the front door and sign in for work with the simple press of a finger. This provides them with an easy and efficient way to clock in and enter the building. The time attendance fingerprint system supports two fingerprint sensors. Thanks to this, two co-workers can clock in simultaneously without losing any time while waiting for one another. By supporting up to 2000 unique fingerprints and a stunning 160000 clocking records, this office gadget is a great tool to keep track of employees in small and large companies alike. After identifying themselves, your employees will be able to query their own attendance records. All information such as working hours will be displayed clearly on the system’s bright 2.4-Inch TFT display. Thanks to this, your employees can make sure that they’ll always hit the required number of working hours by the end of the month. 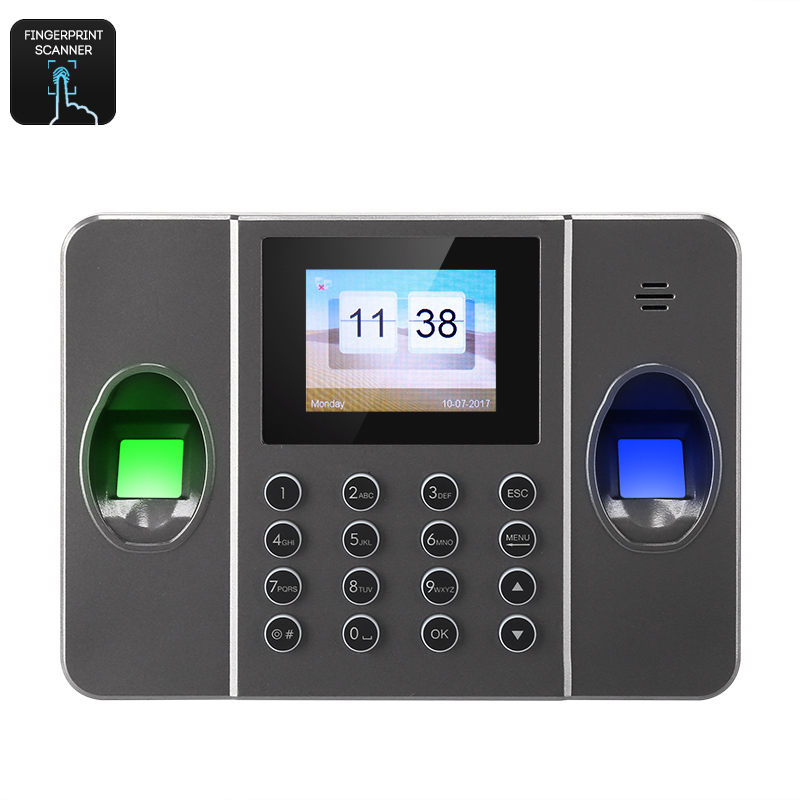 Besides using your fingerprint to clock in this attendance system also supports regular password identifications. Thanks to this, people whose fingerprints are not in the system can still enter the building when they have the required code. Owning a fingerprint attendance system brings along great benefits to your company. By using this modern security system, your company no longer has to make use of traditional paper badges. It will furthermore make it more difficult for your employees to cheat the system or to clock in on the name of others. If you are looking for a system that allows you to keep accurate track of the attendance of your workers, this fingerprint attendance scanner is a great tool for your organization. This cool electronic gadget comes with a 12 months warranty, brought to you by the leader in electronic devices as well as wholesale electronic gadgets..